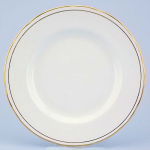 Duchess Ascot china is a classic double gold band on pure white fine English bone china representing good value for an English made bone china set. 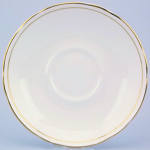 It is a stylish and modern day dining ware which has the beauty and translucency to enhance all food presentation with its lead free reflective quality glaze. Also available is Duchess Gold Edge which has a single gold band.